Our aim is to enable visually impaired people to maintain their independence. – having a poor diet lacking antioxidant vitamins. Cataracts usually develop slowly and although symptoms vary there are some symptoms that most people experience. Most people will eventually develop a cataract in both eyes, though one eye may be affected before the other. When your cataract starts to develop, you may feel your sight isn’t quite right. For example, if you wear glasses you may feel that your lenses are dirty, even when they’re clean. Gradually, you may find your sight becomes cloudier and more washed out. Edges of stairs or steps become more difficult to see and you may feel you need a lot more light to read smaller print. Another common symptom of a cataract is a problem with bright lights. Lights can seem to glare, or you may find that the headlights of a car dazzle you more than they used to. You may also notice a slight change in your colour vision – things may appear more yellow than before. This often happens if one eye develops a cataract first and colours look different when you compare one eye with the other. If you notice any of these changes, you should have your eyes tested by an optometrist (optician) who will be able to tell whether you have a cataract or not. The optometrist will then discuss the degree to which the cataract is affecting your vision and if you agree, refer you via your GP to the eye clinic. You may be told during the eye test that you have early cataract or initial signs of a cataract which does not need referral. If you are unsure about anything during the eye test then ask to have it explained. If a cataract isn’t removed, your sight will become increasingly cloudy. Eventually, it will be like trying to see through a frosted window or a heavy net curtain or fog. Even if your cataract gets to this stage, it can still be removed and your sight will be almost as it was before the cataract developed. The information included is intended to inform you about the basics of this eye condition, and is not intended as a replacement for information from your physician or eye specialist. Glaucoma is the name for a group of eye conditions that cause sight loss because of damage to the optic nerve. This is the specialised nerve that carries signals from the eye to brain. Glaucoma is the second most common cause of blindness in the world after cataract. The number of people affected by glaucoma is continuing to rise as life expectancy increases. Sight lost to glaucoma cannot be recovered. However, early diagnosis, monitoring and regular treatment can help prevent further vision loss. Regular eye tests can help to spot glaucoma early. Glaucoma is often (but not always) linked to high pressure in the eye. Eyes hold their shape by producing fluid (aqueous humour) which fills the middle part of the eye. The pressure in the eye is determined by the balance between this fluid being produced and draining away. If the eye can’t drain fluid well enough, pressure inside the eye will rise. This can squeeze and damage the cells that together form the optic nerve (retinal ganglion cells). Glaucoma can sometimes develop when eye pressure rises due to another eye condition. This is known as secondary glaucoma. Babies may be born with ‘congenital’ glaucoma, but this is rare. Some people with glaucoma have normal or low eye pressure. This can be linked to low blood pressure or other conditions such as sleep apnoea. Women and people with Japanese heritage are more at risk of this type of glaucoma. Older age and family history can increase the risk of glaucoma, as faulty genes can be inherited. People of African, Caribbean and Asian origin also have a higher risk. Sight loss in glaucoma usually happens very slowly, over time. It may be so slow that people don’t notice until the condition is quite severe. Primary open angle glaucoma (POAG) is the most common type of glaucoma. 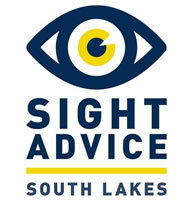 Sight loss usually starts around the edge of the field of view and slowly moves inwards. The vision may seem blurred in the areas affected by glaucoma. Acute angle closure glaucoma is much rarer in people of European origin. It involves a sudden blockage to fluid outflow and a much quicker build-up of pressure. This can cause great pain. Vision may seem misty and rainbow-coloured rings around white lights might appear. Age: Age-related macular degeneration develops as people grow older and is most often seen in people over the age of 65, although it can develop in people who are in their 40s and 50s. Gender: more women have AMD than men, probably because women tend to live longer than men. Genes: some genes have been identified which seem to be linked to the development of age-related macular degeneration in some people. This has been discovered by looking at families with more than one member who has AMD, but not all AMD is thought to be inherited. Smoking: smoking greatly increases your risk of developing AMD. Studies also show that stopping smoking can reduce your risk of developing AMD. Sunlight: some studies suggest that exposure to high levels of sunlight (particularly the UV light contained in sunlight) throughout your life may increase your risk of developing AMD. Wearing sunglasses to protect your eyes from the UV light in sunlight is a good idea for everyone throughout their life. What you eat: a number of studies have looked at diet as a risk factor for someone developing AMD. At the moment there isn’t agreement on how much of a risk factor diet is. There is some evidence that vitamins A, C and E and zinc may help to slow the progression of AMD in people who already have the condition. Although you cannot change your age or genes, current thinking is that protecting your eyes from the sun, eating a balanced diet with plenty of fresh fruit and vegetables, and stopping smoking may all help to keep your eyes as healthy as possible. Unfortunately, because the exact cause of AMD is not known you may develop this condition even if you don’t have any of these risk factors. Symptoms vary from person to person, but usually the first problems people notice are with their ability to see detail. You may have problems reading small print, even if you wear your usual reading glasses, or you may find that there is a slight smudge in your sight or that your vision has a small blurred area in the centre. Straight lines may look distorted or wavy or as if there’s a little bump in them. You may also find you become sensitive to bright light or that you see shapes and lights that aren’t actually there. Sometimes people may only notice these changes in one eye. – your vision isn’t as clear as it used to be. Charles Bonnet syndrome (CBS) is a common condition among people who’ve lost their sight. It causes people who’ve lost a lot of vision to see things that aren’t really there – medically known as having a hallucination. CBS tends to begin in the weeks and months following your sight getting worse. The main cause of CBS is loss of vision and how your brain reacts to this loss. Research suggests that when you see real things around you, the information received from the eyes stops the brain from creating its own pictures. When you lose your sight your brain doesn’t receive as much information and fills in these gaps by releasing new fantasy pictures, patterns or old pictures that it has stored. Charles Bonnet syndrome (CBS) is a common condition among people who have lost their sight. It causes people who have lost a lot of vision to see things that aren’t really there, known as visual hallucinations. CBS can be distressing, but many people find that the hallucinations can get less frequent with time. It was initially thought that hallucinations resolved within 12 to 18 months, but a recent study found that most people still have occasional hallucinations five years after they first started. People who have CBS may have lost a lot of their vision from an eye condition, such as age-related macular degeneration, cataract, glaucoma or diabetic eye disease. Many of these conditions are more common in older people so many people who have CBS are older. However, anyone of any age, including children, may develop this condition as any eye condition that causes sight loss can trigger CBS. It’s thought that there are more than 100,000 cases of CBS in the UK. Some research suggests that up to 60 per cent of people who are experiencing serious sight loss may develop it. Swiss philosopher and writer who lived about 250 years ago. Charles Bonnet wrote about his grandfather’s experiences after his grandfather lost his sight to cataracts and began having “visions”; he could see patterns, people, birds and buildings, that were not really there. The main cause of CBS is loss of vision and how your brain reacts to this loss. Exactly how sight loss leads to hallucinations isn’t really known, but research is slowly revealing more about how the eye and the brain work together. If you have lost some sight to a condition like macular degeneration or glaucoma and you start to hallucinate or see things that aren’t really there, then you may have CBS. by talking with you and in some cases doing tests, your doctor will be able to rule out the other causes of hallucinations, like mental health problems, Alzheimer’s and other conditions. If there are no signs of these other conditions and you have lost sight then it is probable that CBS is the cause of your hallucinations.Image removed. It’s natural to be worried, confused or frightened when you see things that are not really there. Until you know what’s happening, you may be concerned that seeing things is a sign of a mental health problem, or you might think that you have Alzheimer’s disease. However, it’s important to remember and reassuring to know that CBS is caused by sight loss only and not by any other health problem. If the hallucinations cause you to feel anxious, you may also feel like you want to keep quiet about the things you are seeing. However, even though there is no cure for CBS, letting people know that you have this problem or talking about it may offer you some peace of mind. A retinal detachment happens when the retina separates from the back of the inside of your eye. If a retinal detachment isn’t detected or treated quickly it may result in a loss of some or all the vision in your eye. If you develop any of the symptoms associated with retinal detachment you should see an eye health professional as soon as possible. When you look at something, light passes through the front of your eye, and is focused by the lens onto your retina. The retina is a delicate tissue that coats the inside of your eye. The retina converts the light into electrical signals that travel along the optic nerve to your brain. The brain interprets these signals to “see” the world around you. The retina is also supplied with blood by a delicate network of blood vessels on its surface. Light is focused onto a tiny area of the retina called the macula, which is about the size of a pinhead. This highly specialised part of the retina is vital, because it enables you to see fine detail when you are looking directly at something such as words, photos or the television. Your macula also gives you much of your ability to see colours. The rest of the retina gives you side vision (peripheral vision). The eye is filled with a clear substance called the vitreous gel. Light passes through the gel to focus on the macula. PVD does not result in retinal detachment. A bang or blow to the head cannot cause retinal detachment, but a direct blow to the eye miImage removed. Other eye conditions such as diabetic retinopathy can result in fibrous scar tissue forming inside the vitreous and on the surface of the retina. This scar tissue can then pull on the retina (traction) causing a detachment. This type of traction on the retina can also pull the retina away from the back of the eye. A rare type of retinal detachment can occur when fluid from the vessels behind the retina leaks between the retinal layers without there being a hole or tear present. This type of detachment happens because of another condition such as an inflammation or tumour. Retinal detachment is rare. It only occurs in about 1 in 10,000 people each year. Retinal detachment can happen to someone of any age but is very rare under the age of 16 and most commonly happens to people aged between 60 and 70 years. This is because changes to the vitreous gel which can cause a tear to the retina are common in older people, occurring in 60 per cent of people over 70 years of age. Although the changes to the vitreous are common for most people these changes do not result in retinal detachment. Retinitis pigmentosa (RP) is the name given to a group of inherited eye conditions that affect the retina at the back of the eye. RP causes permanent changes to your vision, but how much and how quickly varies from person-to-person. Although there’s no cure for RP there are plenty of ways that you can adapt to maximise the vision you have and continue doing the things you enjoy. These retinal changes can affect your side vision, which makes it harder for you to see in dim light or the dark, and central vision, which causes difficulty with detailed activities such as reading or watching television. If you have RP, sight loss is gradual and usually progresses over a period of many years. Some people with RP might become blind but most people with RP keep some useful vision well into old age. New research is constantly changing our understanding of RP. All types of RP affect the retina. The retinal cells gradually stop working and eventually die. In most cases, the peripheral rod cells are affected first and RP later affects the central cone cells. The symptoms you experience depend on the way your retina is affected by RP and can be very different from person to person. Almost all types of RP are inherited, caused by a fault in the genetic information passed down to you from a parent. The genes you inherit contain the instructions that tell your body how to grow, repair and renew itself. When a gene is faulty these instructions are faulty and the cells using those instructions do not work as they should. In RP, the faulty genes cause your retinal cells to stop working and eventually die off. Researchers have found many of the genes which, when faulty, cause RP but there is still work to be done to discover them all. As there are many genes that can cause the retinal cells to stop working, there are many different types of RP. This is why RP is described as a group of inherited retinal disorders. RP is often mentioned alongside other eye conditionsImage removed.Image removed.Image removed.Image removed.Image removed.Image removed.Image removed.Image removed. with similar genetic causes and effects on vision, such as Leber’s Congential Amaurosis, cone and cone-rod dystrophies, and Choroideremia. RP can also be associated with other problems such as hearing loss. These rare conditions are referred to as RP syndromes. We are always happy to answer any questions or advice we can. Please contact us through our contact page.